This year at our 23rd annual Child & Adolescent Mental Health Conference, we’re excited to be offering a wide range of programming options in our exhibit hall and surrounding areas, including two pop-up art exhibits designed to spark conversations about mental health and the way our perspectives are influenced by mass media and society. Learn more about Mr. Huie’s What Do You See? 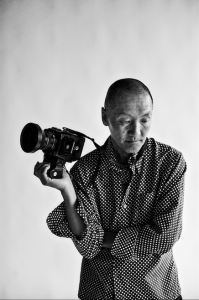 project and his keynote presentation, Challenging Assumptions & Widening Cultural Perspectives Using Photography. The Humanize My Hoodie traveling art exhibition has spurred important conversations about society’s perception of the hoodie, aiming to destigmatize clothing trends associated with people of color, including youth. Simply put: if you are black and you are wearing a hoodie, you are considered a threat. This exhibit shares and lifts the stories of various individuals and highlights them with powerful quotes from Civil Rights leaders. It serves as a healing space that encourages open dialogue on the treatment of people of color when they wear a hoodie. 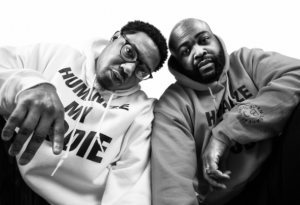 Learn more about Jason Sole, André Wright and their Humanize My Hoodie project.